John Wardell - chief executive NHS Nene. An investigation by the Chronicle & Echo has revealed that the average pay for women on a number of local authorities in Northamptonshire is up to £14,800 less than for men. The figures was compiled using a number of Freedom of Information requests. Our investigation looked at the differences in average pay of male and female employees – it was not the case that women were paid less than men for doing the same job. What it did show, however, was that the top roles, and therefore the highest paid, were largely dominated by men. NHS Nene CCG currently employs 166 people, 123 are female and only 43 workers are male. But the average pay of female employees at the commisioning group is £37,17,2 while men are paid £52,006 – a gap of £14,834. Published in the 2015-2016 NHS Nene CCG annual report, figures show that accountable officer, John Wardell, is paid between £85,000 - £90,000 after pension benefits. Under new laws which came into force on April 6, large employers were told by the Government that they would need to formulate their overall gender pay gap before publishing their data by April 2018. This is in a bid to improve gender equality and reduce the difference between male and female earnings in the workplace. FOI requests were submitted to four other county bodies. Northamptonshire Police employs 2,973 people. Data shows that the average pay of the 1,669 male employees at the police is £45,031 while the average pay of the 1,304 women is £33,785.69 – a gender pay gap of £11,246.25. A spokesman for Northamptonshire Police said: “The figures provided in the FOI response are for 2015/16 and reflect the employment picture at that time. The smaller number of females at the top of the organisation is reflected in the overall average pay, but it is important to note the same pay scales apply to both genders and there is no disparity in pay for carrying out the same role. “We encourage and support progression through the organisation from all under-represented groups for both policing and police staff roles. In the past six months, we have recruited or promoted females into the following senior functions: Deputy Chief Constable, a Chief Superintendent, two Superintendents and three Chief Inspectors. Branch secretary of Unison, Northants County, Penny Smith said: “If the Government is serious about tackling the gender pay gap it will need to ensure that the proposed gender pay regulations, which will require employers to publish gender pay information are sufficiently detailed to encourage employers to take action to address the causes of unequal pay. 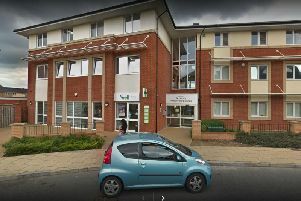 Northamptonshire Healthcare Trust Foundation (NHFT) employs 3,610 workers – 503 people are male and 3,107 of them are female. Data shows that male staff are paid, on average, £32,251.31 and women are paid £22,422.46 – a gap of £9,828.85. A spokeswoman for Northamptonshire Healthcare Trust Foundation, said: “We are aware of and in support of the new legislation regarding the review of gender pay gaps. Northamptonshire County Council revealed it employs 2,738 full-time equivalent staff (FTE) – 2,015 workers are female and 723 are men. The average actual salary of FTE male employees is £29,330 while women are paid £26,280, highlighting that there is an earnings gap of £3,050 between men and women. A spokesman for Northamptonshire County Council said: “The gender pay gap is clearly a national issue across all sectors and the new Gender Pay Reporting requirements are intended to help address this. “Here at the county council, we have had a pay policy and a fair pay structure for all our employees for some time. “All our jobs are carefully assessed using an established job evaluation system and jobs are then allocated a pay grade accordingly. So the pay levels are the same for men and women who undertake the same or equivalent roles. “When looking at pay information it is important to understand that mean average information based on pay and numbers for a large organisation, with a wide workforce profile, can be quite a crude calculation that does not take into account how many men/women are in each grade. Northampton Borough Council says it does not hold such figures and cannot disclose the gender pay gap in its workforce as its “current IT system can’t produce these figures." Penny Smith, branch secretary of Unison, Northants County, has been campaigning for gender pay equality nationally. She said: “When you’re looking at average figures between what the chap earns, a lot of it is because the lowest paid jobs are held by women. “If women take a break to have a baby, they have to juggle caring responsibility around work progression. "Some may take allotted maternity to come back and find out that people have been promoted around them or the job is not what it was. If you employ a man and women with a four-year-old you would think a lady would be more likely to be called out of work than the man. Dr Paul Blantern - chief executive Northamptonshire County Council. "Society assumes dad will never be at home and there is an expectation women will leave work to pick up the child, why isn’t there this expectation with the chap? Simon Edens - Chief Constable for Northamptonshire Police. David Kennedy - chief executive Northampton Borough Council. Angela Hillery - chief executive Northamptonshire Healthcare NHS Foundation Trust.